Hitchhiking Azores is an ideal way to see everything that these beautiful islands have to offer. 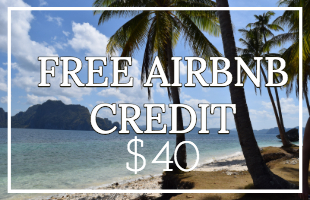 It's a great way to meet friendly, interesting Azoreans or other travellers and, furthermore, it's the perfect place to try hitchhiking for the first time. 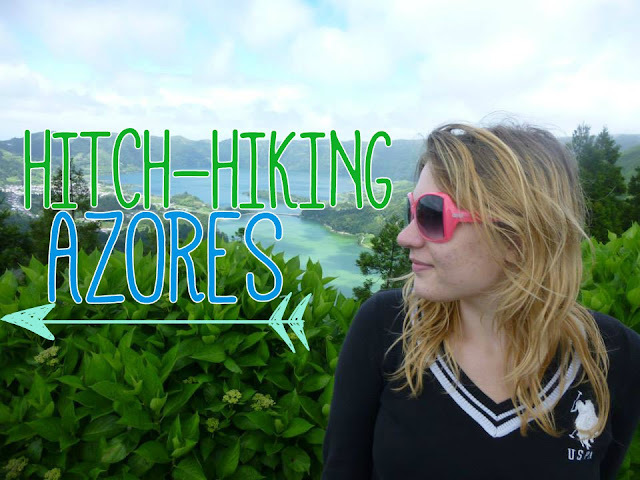 First things first - Is hitchhiking Azores safe?! - is hitchhiking ever safe? 1. NOTHING is 100% safe: people have accidents every day whilst driving their own cars or getting run over crossing the street. Hell, people choke on their food or drown in the bath. If you've seen Final Destination you'll know that pretty much anything can be a threat, even things that are meant to keep you safe - like fire escape ladders. 2. Hitchhikers are NOT disproportionately victims of crime - this is a real live actual fact. Hitchhiking is less risky than standing under a coconut tree. Fact. I really believe that thanks to smartphones and modern technology a) the world is a lot smaller then it used to be and b) hitchhiking is safer than it was back in the day. I hope that helps, I'm by no means a risky person, in fact by most people's standards I'm pretty wimpy (for example, I'd never bungee jump - I don't want to break my neck). But even I think that hitchhiking, in the great scheme of things, is not a massive gamble. Don't stand on the motorway or places cars can't legally stop, or on the wrong side of the road. Bus stops are great and petrol stations are good too (though there aren't many of those on Sao Miguel). It's so annoying when you finally get someone to stop, and then find out they're going a different way. Thus, stand at a spot that can only mean that they're going the same way as you. So you've built up your courage, stood in a good spot (cars can stop, they're all going in your direction), stuck out your thumb, and BOOM the car sails on by. Don't worry, they were probably late for work, had no space or simply just didn't see you (it's actually scary how unaware lots of drivers are of their surroundings). Don't despair, the law of averages says that you will be picked up soon! Sometimes you just won't be picked up, maybe it's harder for cars to stop there than you thought, maybe not enough cars are coming past, maybe there's something about that spot, don't give up, just give up on that spot. Walk in the direction you are going until you find a more successful spot. Azores safety - If you don't want to get in a car, don't! I firmly believe that thanks to the scaremongering of the media and Hollywood, our society has unjustly conditioned us to be scared of hitchhiking. With the first few cars that stopped for us, we made up excuses because we 'didn't like the look of them'.. having hitchhiked a lot now, I feel bad about that, but I'm still telling you about it to show you that you can say no to cars that stop! It's fine! Stick out your thumb kind of goes without saying (it's the international sign for hitchhiking), but don't forget to smile and make eye contact along with it. Smiling shows you're a happy human being who would be nice to share a ride with. Eye contact makes people feel more awkward when they ignore you. These are just a few tips when hitchhiking for the first time if you'd like more info check out: How To: Hitch-Hike Safely and Successfully by our friends at Nomader How Far. Very nicely (especially considering they don't offer a decent shuttle service to Ponta Delgada), Ponta Delgada Airport does give out free, good, maps of Sao Miguel. These are perfect - you will always know which direction you're headed. The big yellow road (the EN1-1A) that runs around the edge is the perfect place to hitchhike because cars go past very regularly. Hitchhiking along any of the little white roads (EN2-1A, EN3-1A, EN4-1A) is nearly impossible because not enough cars go that way. The Azores are situated in the middle of the Atlantic Ocean, which means that the weather is extremely volatile. Be prepared for it to rain, even if it looks really sunny. If you're drenched, people won't feel sorry for you and pick you up, they won't want their cars to be wet and will sail on by. 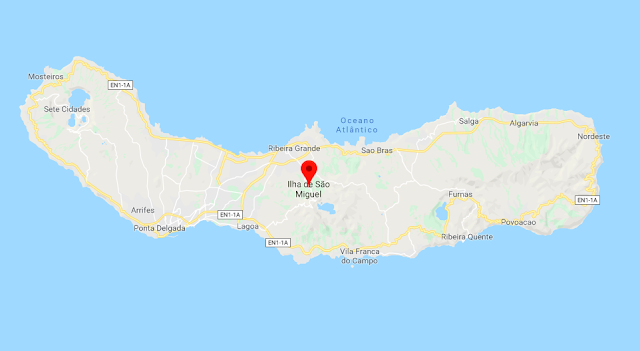 This is how not to hitchhike in the Azores: We arrived at the airport on Sao Miguel in the afternoon, we'd been told in advance by our Airbnb host that to get to his house were two options: an expensive taxi or an expensive lift from him. There were no buses and it was too far to walk. Knowing in advance that the buses on Sao Miguel range from poor service to non-existent, we prepared ourselves for secret option number three: hitchhiking, our Airbnb host had assured us that hitching was a great way to get around the Azores. So we walked eastward away from the airport and towards Ponta Delgada, we knew any cars driving past would almost certainly be heading to Ponta Delgada which wasn't where we were going, so we waited until we'd turned off north before we anxiously put our thumbs out. We'd never really hitchhiked before and were super nervous about doing it, my plan was to carry on walking north, with my back to the cars and my thumb out. If anyone stopped that looked like an axe-murderer I would simply say I didn't mean to have my thumb out, it's just the way I walk. Not many cars passed, and unsurprisingly none stopped. We carried on walking. After about 45 minutes we got bored of walking, got our nerve up and stopped to face the cars if any of them looked 'alright' we put our thumb out. No one stopped. We continued walking north. The road got smaller and the cars became practically non-existent. At about the one and a half hour mark (halfway there according to Google), it started to rain. With all our luggage, but particularly our cameras and laptops we started to worry. A few more cars came past but none stopped, one waved apologetically but that was it! One and a half hours later (so three hours in total) we arrived at our Airbnb. Tired, wet and extremely annoyed with our host who'd insisted that hitchhiking Azores was a big thing. After we'd showered and rested we went to him to ask him what was up. He laughed at us and revealed it was near impossible to hitch on those smaller roads we'd been walking on, but super easy on the main road. He couldn't believe we'd walked for three hours, with all our luggage. Luckily our second attempt went a lot better: though it started in a pretty similar way. Following our host's advice, we set off to Capellas and stood in the optimal spot: busy enough, easy place to stop, clear which direction we were going in. In the beginning, no one stopped for us, and the old men who were sat gossiping outside the cafe started to point and laugh at us. But finally, someone stopped!! - a guy in a beat-up car, but he wasn't going very far so we waved him off. Then a second guy stopped, in an even worse car, without back doors, a no-no for me at the time, and we waved him off too. Then a couple in a nice company car stopped, they weren't going quite as far as us but agreed to take us until that point. Giddy with our achievement of hitchhiking for the first time, we continued to walk up to the top of Sete Cidades Volcano. We overestimated the walk (it was super steep and took ages) and we mistakenly walked up a tiny road that no one came up. But we didn't care, we'd officially hitchhiked! When we got to the top, it was so misty that we couldn't see anything! (A real problem in the Azores) but we met a nice American family who took us all the way back down the mountain. After that day, inspired by our own hitchhiking, we found it a lot easier to hitchhike - we found good spots, we weren't picky about who stopped, and we smiled a LOT. On our second attempt to conquer Sete Cidades, we met the nicest German couple ever: we were walking up the hill, with our thumbs out when a car stopped and a man asked in a heavy accent "do you need a lift to the top" and we answered in German "yes please!" And then asked if we wanted to join them around the lake. We also walked around the volcano and later up to a few viewpoints. Finally, they dropped us off at their Airbnb - they were so kind! We always found it a bit hard to hitchhike out of Ponta Delgada back to Capellas, where we were staying, because there isn't really a good place to stand. One time we were picked up by a young guy, who said he could take us if we both sat in the front seat. It was funny and he was a really nice guy. When he dropped us off he actually gave us some hash (which we had no idea what to do with and gave to our neighbour). One guy had absolutely no English, but after a few points on our map happily waved us in. Tanbay sat in the front seat, and I opened the back to see a whole lot of shredded plastic. I just managed to squeeze in and we went on our merry way, whilst I quickly drowned in plastic. I had a fun time rolling around in the back, hoping that Tanbay would remember to let me out when we got there. Meanwhile, as we went around a bend Tanbay helpfully caught the man's bag as it fell over. At which point the man looked really shocked, worried and started yelling in Portuguese. It turned out that the bag had a cactus in it and poor Tanbay's hand was covered in needles! Followed by an unsuccessful hitch up to Lagoa do Fogo we were picked up by an Azorean, an American and a Brazilian. They were all lovely, but the American will always be remembered: after finding out that Tanbay is German, she excitedly said that she loved Heineken (which is Dutch). We highly recommend that you try hitchhiking in the Azores, it's a great way to meet other tourists and real Azoreans themselves. We think it was a great place to hitchhike for the first time and glad we tried it out there. 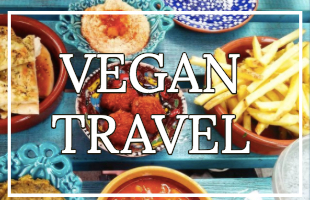 We hope this guide has been useful for you, let us know in the comments below if you have any questions! 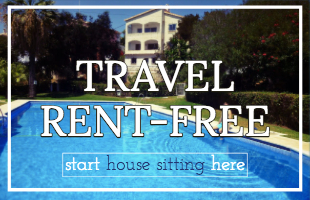 Cheap flights to the Azores - Kiwi is the only site we use when it comes to booking flights. 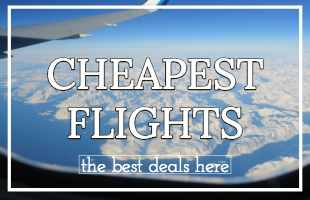 They find unique cheap flights that other websites can't or won't and they have 24/7 support. Best Luxury Hotels in the Azores - Our guide to finding the perfect hotel in the Azores for your honeymoon, anniversary, birthday or any other special event. Probably not so relevant if you're a hitchhiker, but hey I'm a hitchhiker who stays in luxury hotels so you never know. 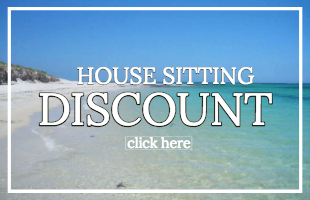 Medium to Cheap Hotels in the Azores - hotels in the Azores for all types of budgets, from budget travellers to middle. 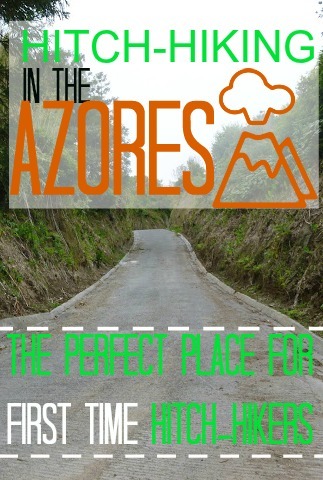 Car Hire in the Azores - in case you gave up on hitchhiking.